The 'Capital of Cool' is a compact city that means it's easy to navigate between the iconic sights and attractions of Wellington. Having fun in the city need not break your budget though with plenty of points of interest to check out. 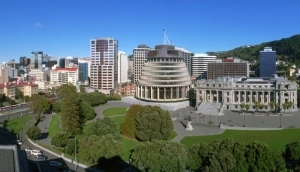 Our Wellington Points of Interest Guide features a mixture of cultural, natural and historic attractions to seek out. Visitors can enjoy the beautiful Botanic Gardens, fun filled musems, cultural displays, historic buildings, world-class movie making workshops, incredible viewing platforms and more.